Beach body workouts are usually associated with interval training combined with a body-weight exercise. If you are looking for ways to burn belly fat on your Florida beach vacation, this will help. When you are in a beautiful setting like the Florida beach, where sun-filled carefree days are the norm, it is difficult to think about exercise to lose belly fat. However, you have the perfect locale to create a beneficial exercise plan. Being on a Florida beach vacation doesn't mean you take a cavalier attitude toward watching what you eat and drink. You don't want to return home with 10 extra pounds of fat to lose. It is far easier to stay in shape, than it is to get in shape. There are many of us here on the Florida Gulf Beaches who workout regularly in the mornings. * If you decide to try our idea of beach body exercise, make sure you've talked with your physician about working out in the tropical Florida climate. * Heat, humidity, sun, wind, water, and sand are all a part of the Florida beaches. Make sure you have made adequate preparations to cover them. I always bring a hand towel and a large bottle of water to drink. - Stretch for 5 minutes, especially hamstrings. - Rest 90 seconds. Repeat for two more sets. - Do 10 minute cool-down run. That's it for my beach body exercise session. I'll change it a bit next time. In my opinion, the best program for proven ways to burn belly fat is Turbulence Training by Craig Ballantyne. * This program was designed to be ever-evolving and time-efficient. * Craig has sections on both body-weight exercises to maintain lean muscle mass and burn belly fat, as well as chapters on using equipment found in gyms. * Craig's workouts change every 4 weeks. Your body will adapt to the stress of exercise to lose belly fat and build lean muscle mass. The program must keep evolving for you to get results. * There are NO requirements to purchase expensive (and mostly worthless) supplements. You will NOT have to buy special high-tech exercise gadgets. * There are NO miles of mindless cardio involved. 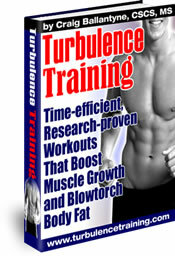 To me, Turbulence Training is the strongest program available to get results from your workouts on the Florida beaches.